A former Nigerian senator, Iyabo Obasanjo, on Saturday lambasted her detractors who are currently recirculating her 2013 letter to her father. 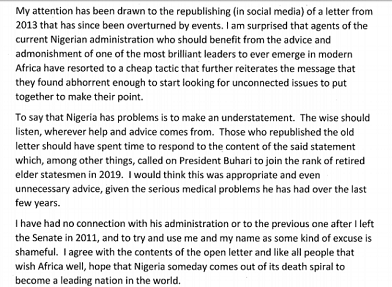 Some social media users had recirculated the former senator’s letter to her father in 2013 in which she criticised the former president. 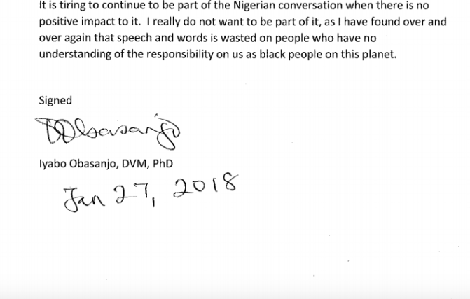 Ms. Obasanjo’s letter was redistributed over the weekend allegedly by some supporters of the current administration, barely a few days after her father, former President Olusegun Obasanjo circulated a “special statement” about President Muhammadu Buhari, and his administration. Mr. Obasanjo accused the Buhari administration of incompetence, nepotism, corruption and advised Mr. Buhari not to seek reelection in 2019. The former president then proposed a new political movement that will herald economic and social development for the country. In a statement she personally sent to Premium Times Saturday night, Ms. Obasanjo said the Buhari administration should focus on the content of her father’s letter and heed his counsel. 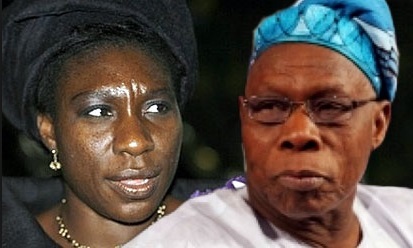 Ms. Obasanjo described her father as “one of the most brilliant leaders to ever emerge in modern Africa”. She urged the president to yield to calls on him to step aside in 2019. “The wise should listen wherever help and advice comes from,” she said. “Those who re-published the old letter should have spent time to respond to the content of the said statement which called for President Buhari to retire in 2019,” Ms. Obasanjo said, adding that Mr. Buhari’s failing health condition should dissuade him from running in 2019.